and performance along with how and why they are used before making a product selection. compatible with elastomers, polymers, and other greases while providing antiwear and extreme pressure load protection. Greases are composed of three main ingredients. The liquid portion may be any fluid, such as mineral or synthetic oil, that has friction-reducing properties. The thickener may be any material that, in combination with the selected fluid, will produce the solid to semifluid structure required to maintain the lubricant at the point of contact. The final ingredients are additives or modifiers that are used to impart special properties or modify existing ones. Greases are made by combining these three components: additive, thickener, and fluid. Most greases use hydrocarbon-based refined mineral oils as their fluid component. These can range in viscosity from as light as mineral oil up to the heaviest cylinder stocks, with International Organization for Standardization (ISO) viscosity grades 100 through 460 as the most common. In the case of greases requiring a high-viscosity fluid, waxes, petrolatums, resins, or asphalts may also be used. Although these latter materials may not be accurately considered “liquid lubricants,” they can perform the same function as the fluid components in conventional greases. Greases made with mineral oils generally provide satisfactory performance in most automotive and industrial applications. 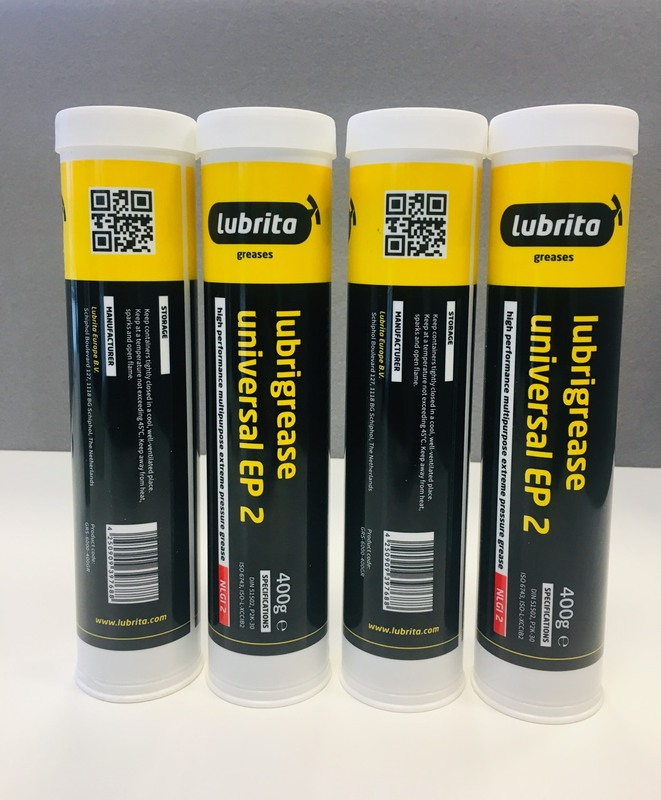 In very low or high temperature applications or in applications where temperature may vary over a wide range, greases made with synthetic fluids generally are used.